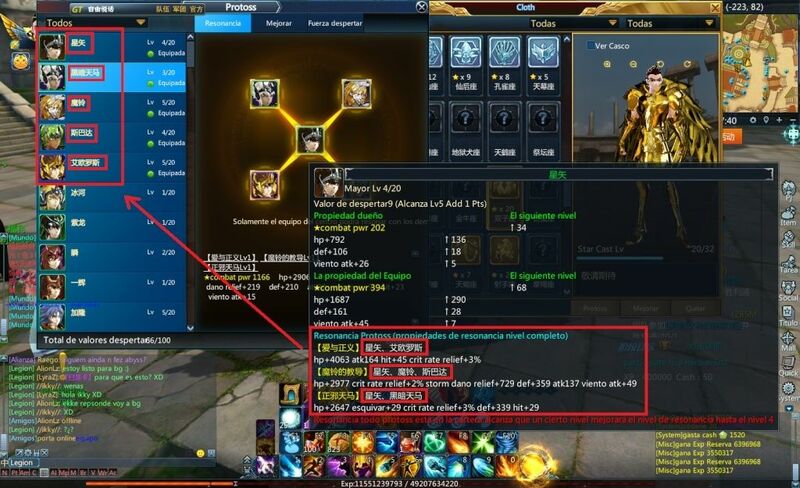 Hi guys, so yesterday we got the new system, apparently for LV95+, I'm not sure thou. It's quite easy as far as I know. 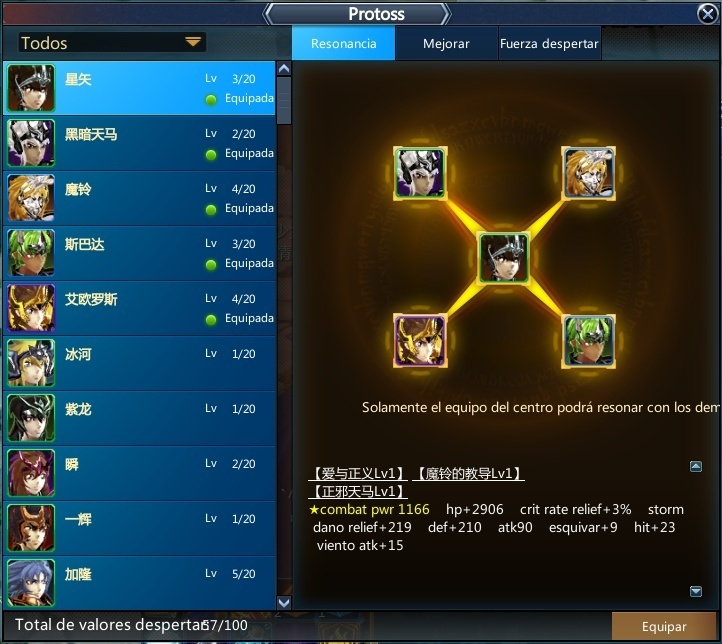 You will see a lot of saints (not only gold saints, also bronze-silver and dark/surplices), some of the saints will be locked, you can UNLOCK the gold saints by making the gold cloth LV20+ (so it's able to summon him). To actually get PL boost, on the 1st window put 5 saints into the 5 available squares. llanero, I see the conections are related to the anime/manga. 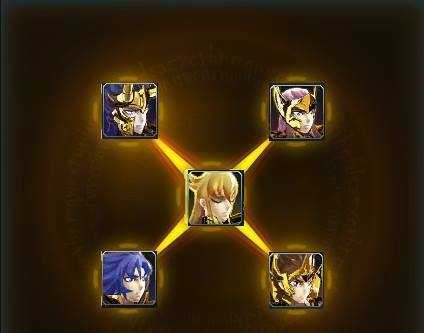 I have camus conected with hyoga, I'm guessing another conection is to put dark saint hyoga. Who else do you think would fit? Silver saint crystal perhaps? I would still need 1 more. You put seiya's teacher Marin, but Idk who is that guy with the green hair. Good info mate, thank you! 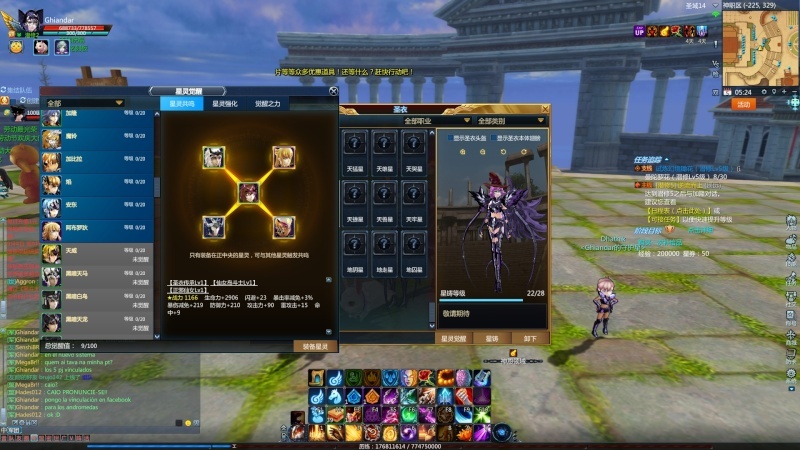 can you help me with the system for dragon? Can you show bonus of this saints constelation? I can't see clearly the connections for Andromeda... can you make another image with better quality? First one need to be in the middle when it's about five saints.